The LabStat Updates is a monograph dealing on various topics on labor and employment statistics. More specifically, it is an analysis of specific data sets on labor and employment enhanced by tables and charts. 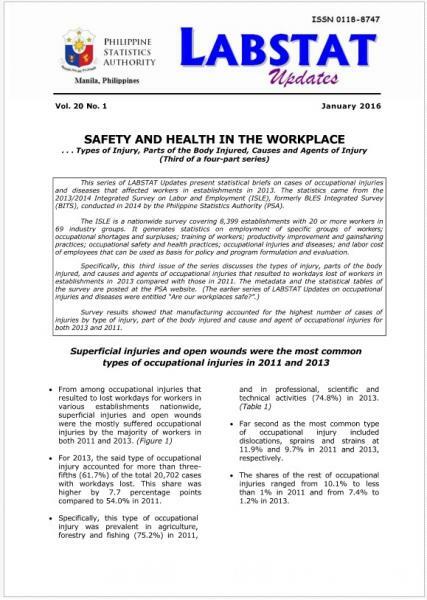 This is likewise the dissemination format of results of establishment surveys on labor and employment conducted by PSA. The LabStat Updates issues can be downloaded from the PSA website.